In Alberta our electricity rates are proving that a deregulated electricity market is rewarding consumers that have chosen to get off the RRO (Regulated Rate Option) offered by the big utilities and Sign Up with an independent Energy Retailer like Park Power. 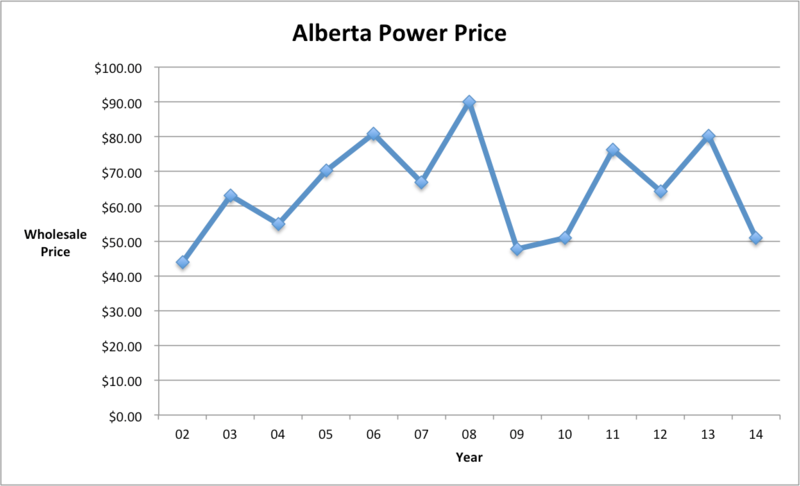 2014 prices will end up being the 3rd lowest prices paid for power since the birth of deregulation in 2001. The Wholesale price of power for competitive retailers like Park Power has dropped 36% since last year from $80.18/MW to $50.02/MW. How do low wholesale prices reward consumers? Park Power customers on the Floating Rate right now with Park Power are paying 4-5¢/per kWh compared to the RRO during December that is in the 7.3¢/kWh range. That is close to a 30% difference in the rate paid for electricity. Park Power has proven again, that we can outperform the big utilities and offer consumers lower energy prices. While Park Power is passing the savings onto its consumers the big utilities are trying to cut costs by outsourcing to foreign countries. Direct Energy has contracted their customer service with HCL in India. ENMAX outsourced IT jobs to Tata Consulting Services in India and Atco iTek services are being provided by Wipro of India. Will the strategy work? Time will tell, but what it does mean if you think about it: the utilities margins will most likely increase – jobs will be lost and consumers stuck on the RRO will most likely continue to pay more when compared to the lower prices being offered by Park Power. Deregulation is working for consumers. It could work for more consumers as well if they chose to get off of the government regulated RRO and sign up with an independent competitive retailer like Park Power. When a consumer does this nothing changes to their electricity service and supply, what changes is the price they pay for it. Why not take advantage of a retailer offering lower rates, with no exit fees and superior, Alberta based customer service.